Janbaz Force Jobs 2018 is announced. 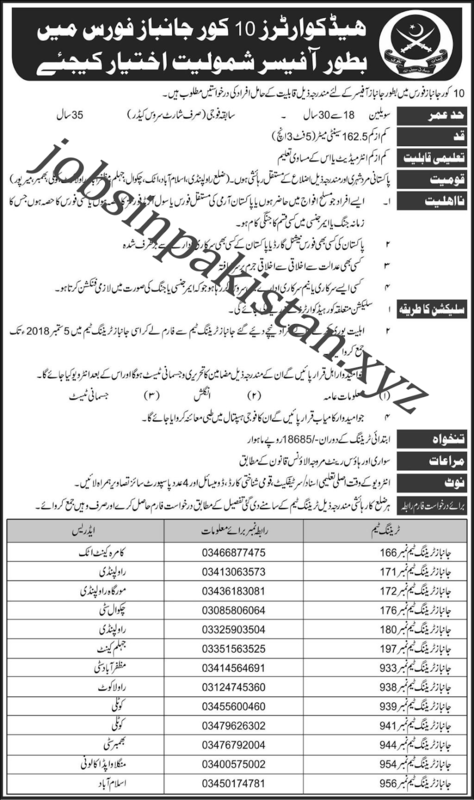 Janbaz Force Jobs 2018 for Pakistani Nationality. Janbaz Force Jobs 2018 is announced by Pakistan Army. Janbaz Force of Pakistan is considered one of the best forces in the Pakistan and the world. Age limit for join Janbaz Force is 18-30 years. The minimum height for Jambaz Force Jobs 2018 is 5.3 feet. The qualification is at least intermediaite for Joining Jambaz Force. The starting salary of these jobs is 18685. The advertisement for Janbaz Force Jobs 2018 is given below.